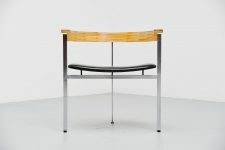 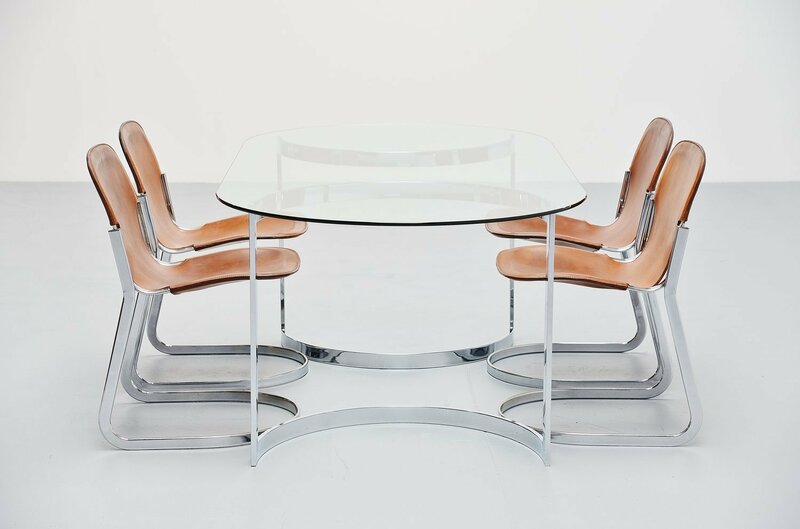 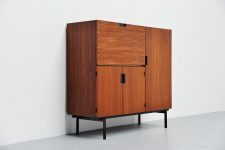 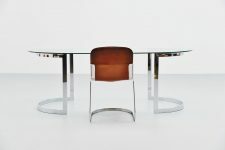 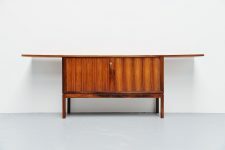 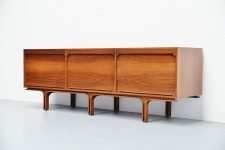 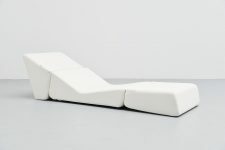 Very nice and elegant dining table by Cidue, Italy 1970. 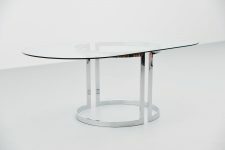 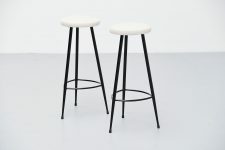 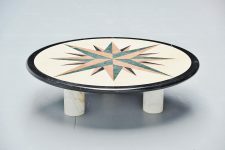 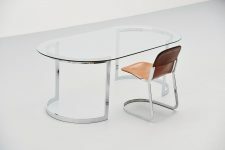 This table has two half round shaped legs and a large oval glass top. 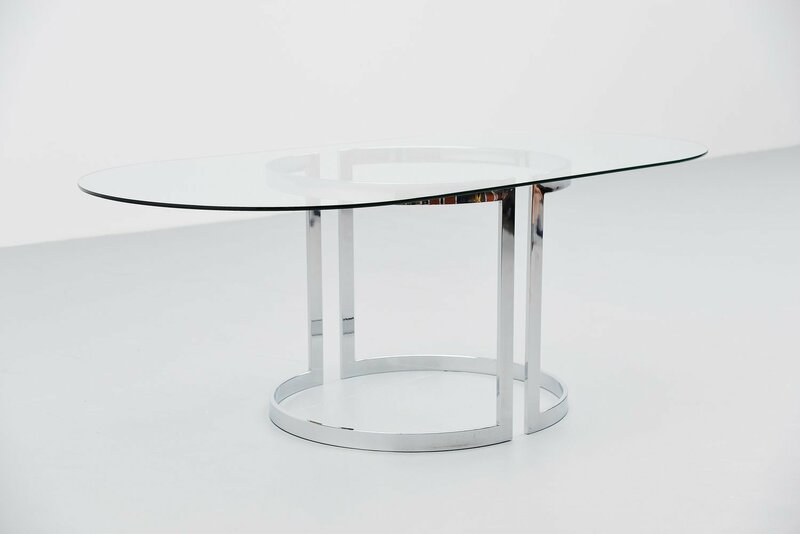 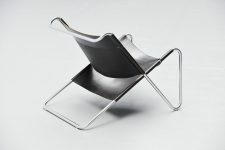 The legs and the top are in excellent condition, no chips to the glass only very minor surface wear. 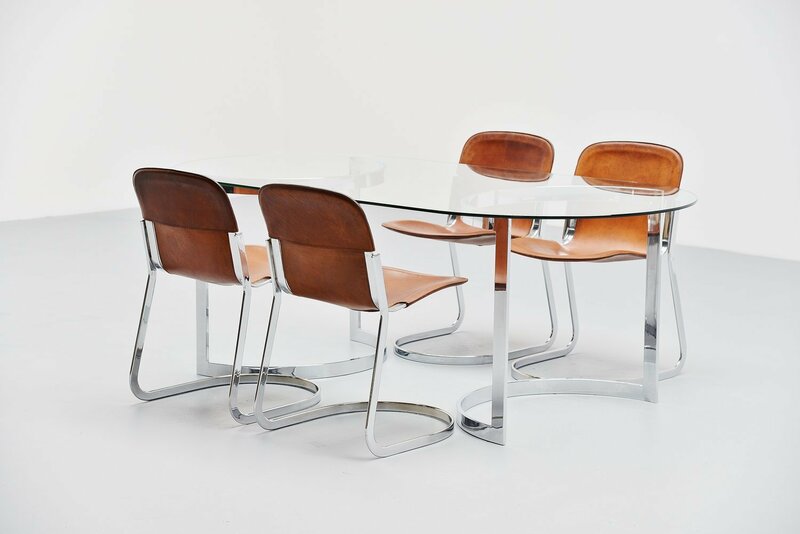 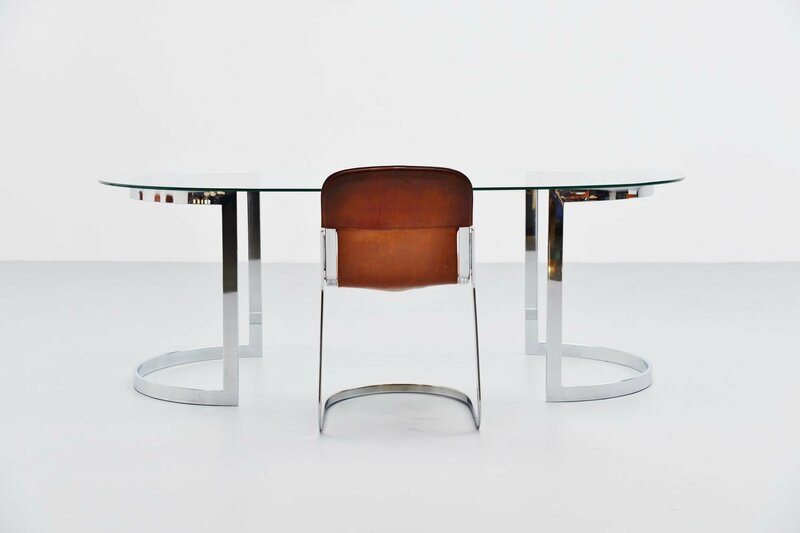 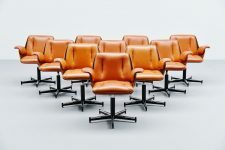 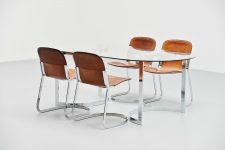 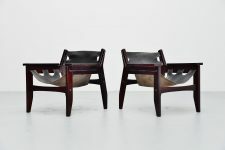 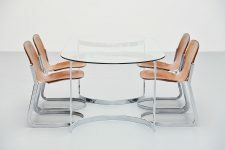 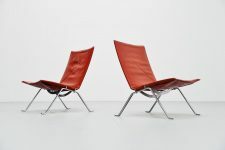 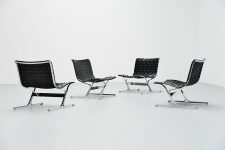 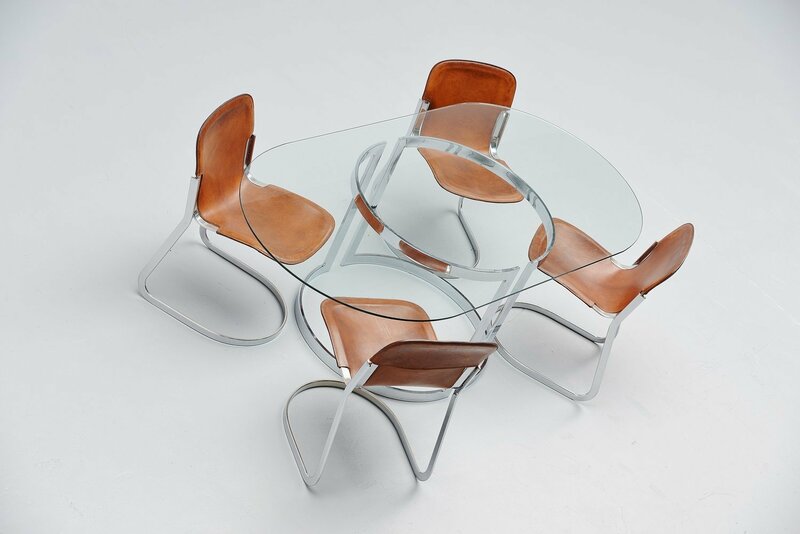 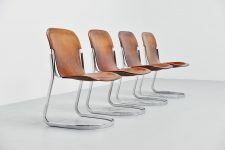 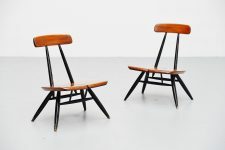 Have a look at our 4 matching Cidue chairs in cognac leather.